Various types of fishing techniques are available for fishing enthusiasts to choose from. Fishing methods may vary according to each region, skill level, time of day and habitat. For instance, while certain experts advocate for night fishing, others prefer fishing during the day to avoid navigating waters during nocturnal hours. Additionally, anglers fishing in freshwater or saltwater habitats may benefit from different techniques. For example, net techniques are optimal for saltwater environments. Conversely, hand-gathering techniques are most commonly associated with freshwater habitats. The fishing line types and uses can also vary according to different habitats. As an example, braided lines can properly withstand the heavy currents of streams. On the other hand, fluorocarbon lines are more invisible in the clear ocean waters. To learn more about fishing techniques that serve different purposes, regions, skill levels, species of fish, times of day and habitats, read the sections below. What are the types of fishing techniques? Hand-gathering – Popular hand-gathering fishing techniques include trout tickling, noodling, pearl diving and flounder tramping. All of these methods involve the gathering of fish by hand. Species such as crabs, oysters, scallops, clams and sea urchins are popularly caught by hand. Spearfishing – Spearfishing can be done from land or underwater, but is most commonly associated with types of diving. Fishermen have historically used spears, tridents, pike poles and other handheld tools to pierce through fish and catch them. Net techniques – Fishing nets are typically large grid-like structures made of resistant materials that are able to trap fish. Thus, net techniques are fishing methods typically employed by anglers attempting to catch big game or large schools of fish. Angling – Angling is one of the most traditional fishing methods for recreational fishermen, as it involves a rod, line and hook. A fish is angled by a hook, which is attached to the end of a line, which is attached to a rod. Trapping – Fish trapping may take form as lobster traps, fishing weirs or fish wheels. This fishing method involves luring fish through an opening and placing them inside a trap they cannot get out of. Fish trapping does not involve the active involvement of a person to catch fish, which may be beneficial. Fishing with animals – Another type of fishing involves training animals, such as dogs or birds, to assist anglers in catching fish. This was a particularly common practice in the 19th and 20th centuries, but it is still utilized in modern times. Additional types of fishing techniques include electrofishing, shrimp baiting and dredging. In addition, fishermen may also use fish aggregating devices, fish finders or light attractors. What are the types of saltwater fishing techniques? Shore fishing – Fishing from a coastal region may involve hand-gathering, spearfishing or angling techniques such as fly fishing or surf fishing. From land, fishermen have a firm ground to provide them with support when reeling a fish out of the water. Ocean fishing – Fishing enthusiasts must use boats to fish in open oceans. From a boat, a fisherman can use angling or net techniques. Moreover, ocean fishing must account for the behavior of tides, the dangers of predatory fish and a captain’s navigation skills. In general, it is among the most popular fishing types in the world. Deep sea fishing – Another saltwater fishing type may include diving, allowing fishermen to catch species that inhabit ocean depths. Deep sea fishing typically involves spearfishing or hand-gathering techniques. Thus, this activity requires a more active participation of fishing enthusiasts in comparison to other saltwater techniques. What are the types of freshwater fishing techniques? Lake fishing – Lakes and reservoirs are typically large habitats that offer optimal space for large freshwater fish to grow in. For instance, rivers house species such as bass, catfish and tilapia. In addition, fishing in a lake can be done from a bank or from a boat. Anglers fishing from land can employ angling, hand-gathering or spearfishing techniques. Pond fishing – Ponds are more contained freshwater environments in comparison to lakes or reservoirs. For that reason, ponds allow anglers to more carefully monitor the fish populations that exist in them. Angling, hand-gathering and spearfishing can be done in ponds, with a reduced risk for fishermen to come by freshwater predators. River fishing – Most freshwater species that inhabit rivers are typically found inside riffles or holes that are not close to the shore. Therefore, large rivers generally require fishing enthusiasts to use a boat in order to successfully catch fish. Stream fishing – Streams and small rivers are optimal habitats for angling techniques such as fly fishing. Unlike ponds, streams have a current, which can make fishing there more challenging. What are the different purposes of fishing? Recreational fishing – A recreational angler may practice catch and release fishing, fish for food or simply fish as a form of entertainment. In any case, this fishing purpose does not involve any profit, reward or award to be earned by an angler. Commercial fishing – A commercial angler or fishery typically employs fishing methods that allow them to catch large schools of fish at once. Moreover, these fish are be properly stored and sold for a profit. State-issued commercial fishing licenses are required for those who are fishing for profit. Fishing for competitions – A fishing enthusiast may fish with the intention of earning an award or reward from peers or from a tournament. Generally, more advanced fishing line types and uses are required for anglers to catch prized game fish and leave victorious. For instance, a professional and sturdy braided line must be used to catch a muskellunge. What are the types of fishing for sport? Angling – Angling is one of the most common techniques for recreational fishing enthusiasts. This method it only involves the purchase of standard fishing gear, such as a rod, reel, line and hook. In the case of children and beginners, angling is also among the easiest methods to initiate interest in fishing. 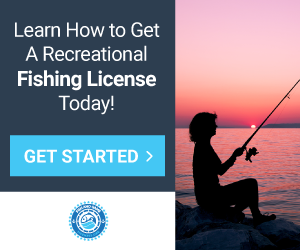 Fishing with animals – Recreational fishing methods are about having an entertaining experience while fishing, which may involve anglers bringing along their pets. However, fishing with animals may require extensive training. Hand-gathering – Hand-gathering techniques require no equipment. Therefore, this is one of the most affordable and casual fishing techniques out there. Additionally, hand-gathering methods such as trout tickling, pearl diving, flounder tramping and noodling are known for being very entertaining. Spearfishing – Despite requiring some form of a handheld spear, spearfishing generally involves minimum equipment. Therefore, this is a valid alternative for recreational fishermen who do not have access to rods. What are the types of fishing contests? Fishing contests, also known as fishing derbis, are organized tournaments among peers that may have a formal or informal structure. For example, fishing tournaments can be organized by large fishing organizations that offer various prizes to anglers who rank high. Conversely, these tournaments can also be friendly competitions organized by a group of peers. The types of fishes you can catch at competitions vary according to the scale of the competition you participate in. In general, the International Game Fish Association (IGFA) records annual world records submitted by anglers from all over the world. However, regional fishing contests may not have record-breaking requirements for participants to rank high. For instance, a bass fishing tournament is one of the most common regional fishing derbis held in North America. What are the easy to catch fishes for beginners? Bass – Bass are very common fish that can be found in saltwater and freshwater habitats. Moreover, a largemouth bass can be enticed by various baits and is considered an easy catch by most fishermen. Catfish – Some catfish are large and heavy specimens, but they are still considered easy to catch fish for kids and beginners. Catfish have a scavenger nature and are drawn to eating anything that moves, thus being easily lured by baits. Crappie – Crappies typically migrate with different schools of fish, which makes them very easy to catch. Additionally, these fish can also serve as indicators that other species are present in a particular spot. In general, crappies are small and tasty catches that can please kids and beginners. Sunfish – Sunfish, such as bluegill, are among the easiest fish to catch in freshwater habitats. These fish have small bodies that average 12 inches and four and a half pounds. Moreover, they are enticed by nearly any kind of bait. What are the hard to catch fish for experts? Bonefish – Bonefish are hard to catch due to their sensitivity to sounds. Most bonefish are known for swimming away upon hearing voices, splashes or bangs. Thus, these fish require anglers to be still, silent and patient for extended periods of time. Blue marlin – A blue marlin is one of the most difficult fish to catch. These fish are generally strong, can leap high over the surface and are capable of swimming fast and long distances. Moreover, blue marlins can be hard to find due to the fact that they inhabit deep and open oceans. Muskellunge – The muskellunge, which is informally known as musky, is a large fish that averages 66 pounds and six feet. Thus, this species is typically capable of breaking lines with ease. In addition, muskies are great at hiding, which makes spotting them more challenging. Pike – Pikes are famous for having large mouths that are able of catching prey and breaking lines with ease. Additionally, a pike can weigh up to 53 pounds, thus being a heavy fish that is difficult to reel in. What are the types of fishing at night? River bank fishing – Anglers who want to try bank fishing at night may be attempting to catch freshwater fish when they are feeding. For instance, a walleye generally waits until nighttime to swim closer to the surface, avoiding direct exposure to sunlight. River fishing – In addition to river bank fishing, anglers may also fish from the middle of a river while on a boat. River fishing at night is well-suited for anglers to catch fish such as walleyes during their time of feeding. Ice fishing – Fishing during nocturnal times is not only advantageous due to low light, but also due to low temperatures. Thus, ice fishing at night is optimal for anglers to catch species that prefer cold and dark environments to feed. For instance, perch, pike and pickerel are examples of fish who enjoy cooler temperatures. Ocean shore fishing – Shore fishing at night in a saltwater habitat has similar advantages to river bank fishing. Saltwater fish may feed at night in certain regions. For that reason, they are more prone to being caught during nocturnal hours in those environments. What are the types of fishing to do during the day? The best time of day to fish varies according to each angler, region and skill level. Certain experts argue that the best time to go fishing during the day is at dawn or dusk, with reduced lighting and cooler temperatures. However, other experts are firm supporters of day fishing, arguing that nocturnal hours are not better to catch fish. Spearfishing and hand-gathering are among the types of fishing to do during the day, as they generally require good lighting. Moreover, novice anglers may find fishing during the day to be easier. What are the types of fishing you can do on a boat? Angling – Angling is a versatile fishing method that can be done from virtuously anywhere. However, a boat may be required for fishermen to practice deep sea fishing with a rod. Net techniques – Most net techniques are best-suited for fishing boats. This is particularly true if the goal is to catch big game fish, such as sharks, which inhabit open oceans. Spearfishing – Spearfishing is typically associated with diving. Therefore, a boat is generally required for fishermen to dive into the ocean and catch fish underwater. What are the types of fishing you can do on land? Angling – Fishing techniques such as fly fishing and surf fishing are popular methods to catch fish on land. Hand-gathering – Fishing on land is optimal for the catching of fish by hand. Conversely, a boat does not provide fishermen with the same support for hand-gathering techniques. Spearfishing – Spearfishing can done from land or underwater. However, like in the case of hand-gathering, a firm ground can provide additional support to fishermen to catch fish. What are the cheapest ways to fish? Hand-gathering – The cheapest way to fish is to catch a fish by hand. In general, hand-gathering fishing methods require no assistance from equipment or other animals. However, these techniques generally require extensive training over time. Fishing with animals – It is not expensive to train an animal, such as a dog or a bird, to catch fish. However, it may take a significant amount of knowledge and time for fishermen to train their animals. Spearfishing – Spearfishing is among the most inexpensive fishing methods. For instance, a spear can be made from wood or other materials instead of being purchased from a store. However, if a spearfishing intention involves underwater sight or breathing, fishermen must acquire diving equipment. For that reason, this technique can become more costly in comparison to other affordable methods. What are the types of fishing for families? The United States Fish and Wildlife Service (FWS) – The FWS agency offers family fishing programs through certain states’ fish commissions. These activities can include several fishing techniques and be held in different seasons, depending on the weather in each region. The International Game Fish Association (IGFA) – The IGFA offers public fishing programs for families and children in certain regions of the United States. What are the types of destructive fishing? Bottom Trawling – Bottom trawling is an extremely destructive fishing technique. This method involves the use of very large and heavy nets that are dragged by boats along the seabed. Thus, the dragged trawl net kills fish and destroys ancient coral reefs along the way. The average bottom trawling catch consists of an estimated 80 percent of waste or pieces of destruction. Ghost fishing – When nets are lost or abandoned at sea, they continues to catch, trap or entangle fish, causing many deaths. This practice, known as ghost fishing, is one of the most common unsustainable fishing practices in the world. Overfishing – Certain species of fish are endangered and must not be caught by anglers in order to avoid extinction. Overfishing effects yield an imbalance to natural habitats since all underwater species are codependent on one another. Poison and explosives – Certain fishermen have been known to contaminate marine habitats with cyanide or place dynamite. These toxic substances cause fish to die and float to the surface. However, this practice also causes the destruction of coral reefs and endangered species of fish. What are the illegal vs legal types of fishing? Illegal fishing refers to when a fisher or fishery operates in violation of the law. Unreported fishing takes place when an operation is unreported or misreported to the official authorities. Unregulated fishing is when a vessel without nationality is fishing in a region where it is not authorized to operate. What are the types of diving? Freediving – Freediving is a type of diving that relies on a fisherman’s ability to hold his or her breath while underwater. Thus, this breath-holding method does not require any breathing apparatus. However, a person can only survive for so long without oxygen underwater. For that reason, spearfishing while freediving typically involves multiple attempts in order to catch a fish. Scuba diving – Divers who use a self-contained underwater breathing apparatus (scuba) engage in what is known as scuba diving. This is one of the most popular types of diving in the world, because a scuba allows divers to withstand longer periods of time underwater. Thus, scuba diving is well-suited for individuals to spearfish in deep waters. Snorkeling – Snorkeling is the mode of swimming while wearing a diving mask known as a snorkel. In general, this diving method allows divers to look under the sea without having to reach the surface for air. However, a snorkel does not allow fishermen to dive very deep. Thus, snorkeling is generally an opportunity for divers to spearfish species that inhabit shallow waters.